Prince Tamino is menaced by a wild dragon. At the last moment he is saved by three mysterious women, who have been sent by the Queen of the Night. When the bird catcher Papageno appears and boasts of his heroic deed as dragon slayer, the three ladies punish him. They present the Prince with a picture of Pamina, the Queen’s daughter, who has been imprisoned by Sarastro, Regent of the Sun Temple. Tamino falls in love with her. 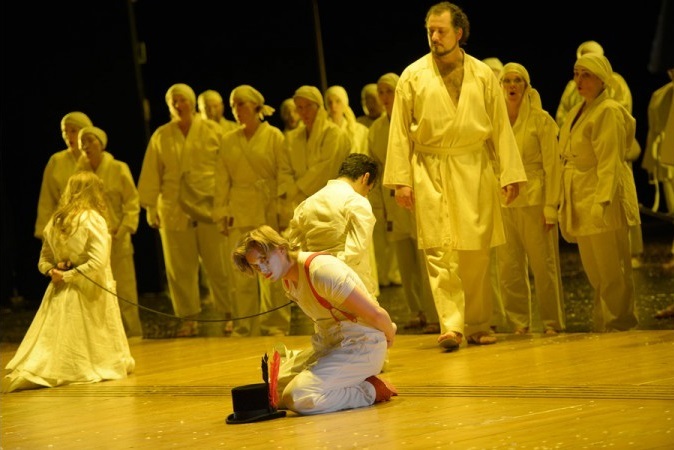 The Queen appears in person and orders him to join forces with Papageno to save Pamina. They give Tamino a magic flute for protection and the reluctant Pagageno receives a glockenspiel of magical chimes. Led by three boys, the two heroes begin their journey to Sarastro’s castle. Tamino is twice prevented from entering by the gatekeepers. At the third attempt they inform him that Sarastro is nothing like the cruel tyrant that the Queen of the Night has made him out to be. 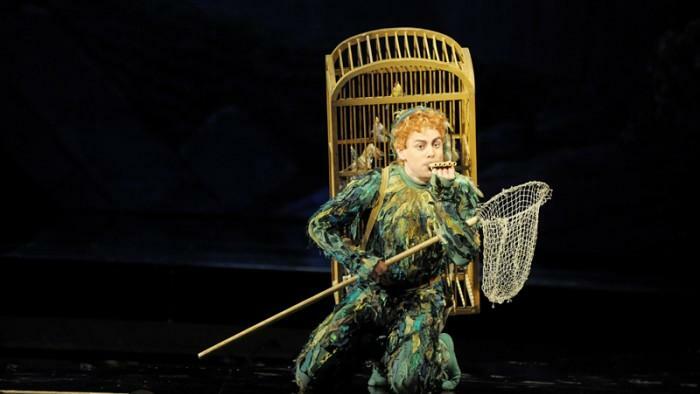 Papageno finds Pamina and tries to escape with her. He is able to stall her guard Monostatos with the help of the chimes, but the appearance of Sarastro puts an end to all attempts to flee. Papageno, Pamina and Tamino are compelled to stay in Sarastro’s temple and submit to a series of life-threatening trials. 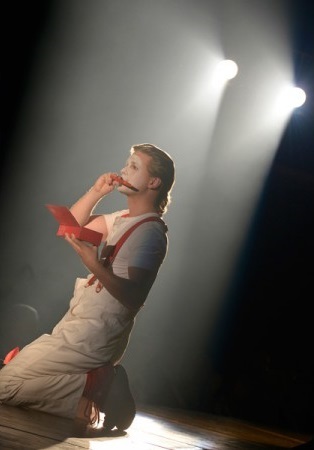 First of all they have to learn to be silent, which is especially difficult for Papageno. When an old woman passes, Papageno cannot restrain himself and asks her what her name is. She disappears in a clap of thunder. 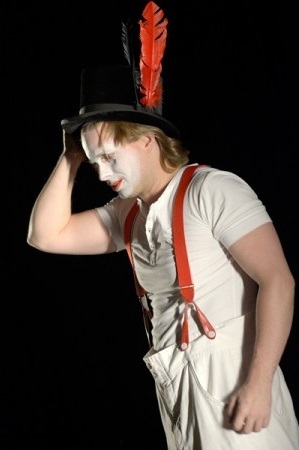 Papageno consoles himself with the food that is so miraculously served to them. Tamino keeps silent, playing on his flute. Pamina appears, in deep despair that Tamino is no longer talking to her. Her mother has already entreated her in vain to murder Sarastro. When she decides to end her life the three boys seize her dagger and lead her to Tamino. Protected by the flute, both of them pass the ordeals of fire and water, and have now successfully completed all the trials. Meanwhile Papageno, in his great loneliness, conjures up the old woman again and promises to marry her, »if there’s nothing better to be had«. All of a sudden she is transformed into a beautiful young girl, but their time has not yet come and she is taken from him again. In his despair he decides to end his life, but the three boys remind him of the magic chimes. Their tinkling brings back Papagena, and the reunion sets them both dreaming of a happy future together. The other pair is happy, too: Tamino and Pamina are inducted into the Society of the Enlightened, which celebrates the ideals of Nature, Wisdom and Reason. Only for the Queen of the Night does the story take a turn for the worse: when she attempts to enter the temple along with her entourage she is devoured by the spirits of darkness. 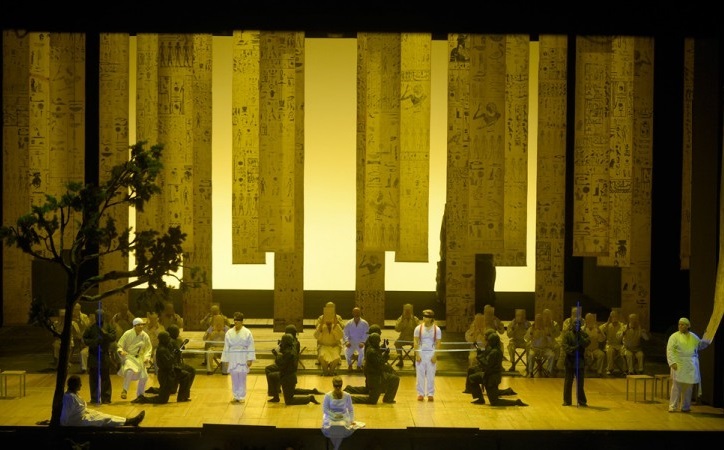 Mozart’s MAGIC FLUTE is the most frequently performed opera in the German-speaking world. This variegated masterpiece straddling Viennese popular theatre, fairytale, myth and the mystery of freemasonry is a puzzle even today: did Mozart and his librettist Schikaneder switch horses in mid-stream, changing allegiance from the Queen of the Night to Sarastro? Should one not distrust the holier-than-thou world of the priests and an ideology that divides the world into good and evil? Are there not traces, even, of discrepancies between text and music, as many a Mozart expert has suggested? Whatever the facts of the matter, it is the music that smooths the contradictions of the plot, elevating them to a worldly realism. The music does not denounce the characters but rather confers on the conflicts an existential dimension. Without this dimension the opera would come over as an irrational fairytale. This entry was posted in OPera and tagged Deutsche Oper Berlin, Magic Flute, Wolfgang Amadeus Mozart. Bookmark the permalink.